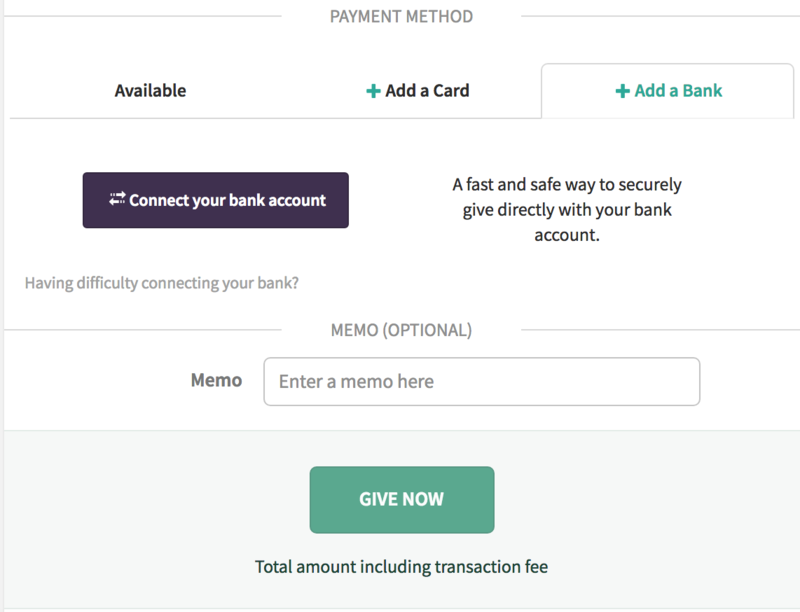 To give with a bank account, simply click the 'connect your bank account' button on your church's giving page or within your user account. It takes about 10 seconds, and you don't even have to pull out your credit card or check book. Let us know if you have any feedback or questions about this feature.